The Community Banana Stand has been operated by Amazon in the middle of its corporate campus in downtown Seattle since 2015, handing out free bananas to members of the community, and “not just Amazonians” as the sign reads. What started as a good will gesture now stands as more of a symbol of the relationship between a mega-corporation and its neighbors. What impact does a company like Amazon have on the municipality surrounding it, what sort of credit can it claim for the positive effects it has on the local economy, and what responsibility should it take for the negative ways in which it has affected the neighboring community. The relationship Amazon has with Seattle is neither of these and would continue to go largely unnoticed if not for the recent request for proposals the company issued seeking a second, “but equal,” location for its next headquarters. Since 2010, when Amazon started implementing their plans for HQ1 in downtown Seattle, the city has lead the nation in rent increases, increases to sale prices, and in the amount of homelessness and displacement; in some cases outpacing cities like New York and San Francisco by two or three times. Similarly, laying all of the blame for these changes to Seattle’s housing market at the feet of Amazon can seem overstated; but it is important to recognize with 45,000 employees in Seattle alone, Amazon controls over 8.1 million s/fof class A office space (with plans to expand to over 12 million s/fby 2020) which is just over 19% of all of the prime office space in the city. In a recent study by Costar of corporations and their relative share of the office space they occupied as a percentage of the overall market, Amazon had the largest share of a major US city’s available office space by six or seven times over. Comparatively, CitiGroup is next on that list occupying 3% of the prime office space in New York City. It was arguably Amazon’s substantial share of Seattle’s workforce that caused them to halt all of their development plans when the Seattle City Council announced a proposal for a “progressive tax” of $500 per employee each year to help pay for affordable housing and homeless shelters. But it was certainly an increasing share of the prime office space in Seattle that led to their announcement being seen as strong-arm tactics. Avoiding taxes is as intrinsic to Amazon’s corporate culture as it is to developing real estate: it is a key part of the mythology behind why CEO Jeff Bezos moved to Seattle; it is a strategy that allowed Amazon to pay zero dollars in federal corporate income tax for 2017 despite $177.9 billion in gross sales; it is why the tax incentive packages being offered in response to the HQ2 RFP will be the deciding criteria; and it is the threat of $22.5 million in local taxes to help pay for affordable housing that has Amazon ready to walk away from upward of 4 million s/f in office space. What seems unfortunate in this equation is the opportunity for Amazon to do some tremendous good for the city of Seattle, a city that has by all accounts been a gracious host if also a willing beneficiary. While Google invests in low income housing tax credits and prefabricated units in Mountain View, Sidewalk Labs attempts to create the all–inclusive neighborhood in Toronto, Apple explores the idea of providing temporary housing on campus for new employees, and even Facebook—the current black sheep of the web 2.0 set—is considering subsidizing housing for its employees, Amazon threatens to take their Community Banana Stand and go elsewhere? Seattle councilperson Mike O’Brien laid the correlation bare: “I need to run a city that has room for prosperous businesses, but doesn’t do it at the expense of people getting pushed into poverty.” If municipalities surrender the few tools they have to deal with the inequity that can come from large scale development, corporations are left to their own sense of altruism which may be little more than a Community Banana Stand. The threat of this possibility was not lost on the 30-plus elected officials from various municipalities still in the running for HQ2 who signed an open letter of support to Seattle’s city council. Arguably, the stand-off between Amazon and Seattle’s City Council ended in a compromise: the original payment was nearly halved to $275 per employee. But that it passed at all, and that it passed unanimously is incredibly significant. 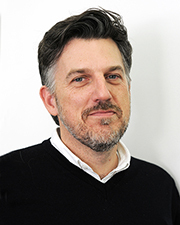 Brian Loughlin is the director of planning and urban design at Magnusson Architecture and Planning PC, New York, N.Y.